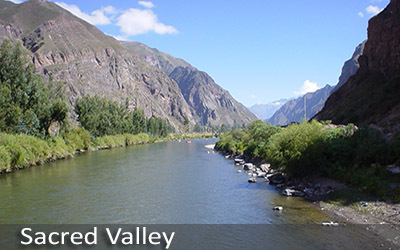 In the morning, we will meet you at your hotel and take you to the South Valley of Cusco. 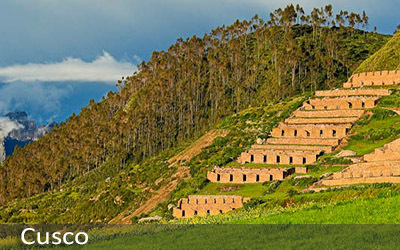 The first stop will be the archeological complex of Tipón, where you will admire its terraces, walls and water channels. We will then continue our tour to the adobe-brick built Pikillacta, the only pre-Incan site remain in Cusco. After Pikillacta, we will head to Andahuaylillas Church, known as the Andean Sistine Chapel, where you will see intriguing 16th, 17th and 18th century mural paintings and altars completely decorated in gold. After the tour, we drive you back to your hotel in Cusco, where you will spend the rest of the day at your leisure.